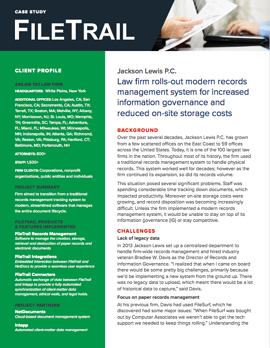 Amlaw 100 law firm Jackson Lewis needed to completely revamp the way it managed its physical records. The law firm rigorously evaluated several major solutions. In the end, it selected FileTrail.